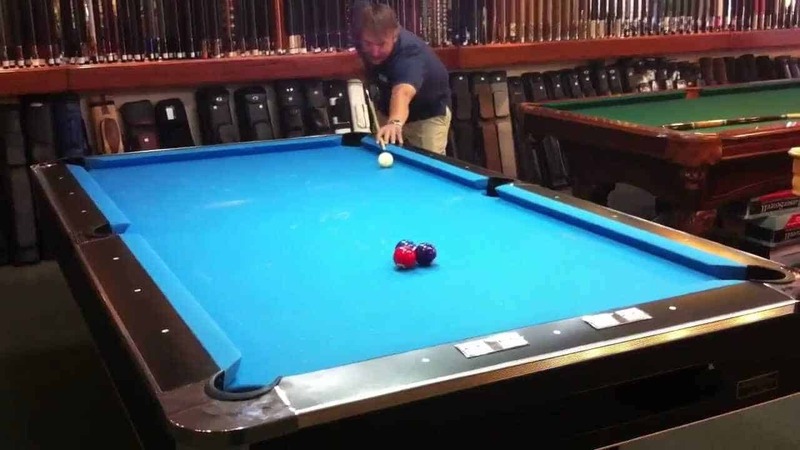 Three Ball: A Unique Pool Game of "The Lower, The Better"
The game of three-ball may appear a little familiar to you due to some of its rules and gameplay coming from other pool games. It is, however, still an enjoyable game and something worth the try. Unlike the other games of pool where the player with the highest score wins, this game is ironically the exact opposite. The goal of this game is to finish with the lowest possible score. 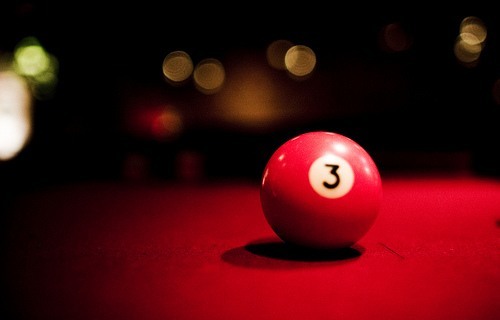 Three Ball can be played on any standard pool table. Seen in the photo is a man playing Three Ball, getting ready to do the break. 1 What is Three Ball? Three ball is a pocket billiards game played with three pool object balls and a cue ball. Theoretically, there is no limit to the number of players who can play and participate in the rotation of the game. However, in reality, more than five players can become a bit overwhelming. This game requires a significant amount of luck as compared to playing the popular 8-ball and 9-ball game. The origin of the modern game Three Ball is taken from a similar game, also with three object balls. Although, the origin game has similar rules to 9-ball and is played with the one, two and nine ball as the object balls. The objective of the game is to pocket the three object balls in as few shots as possible. Object balls 1, 2 and 3 and a cue ball. 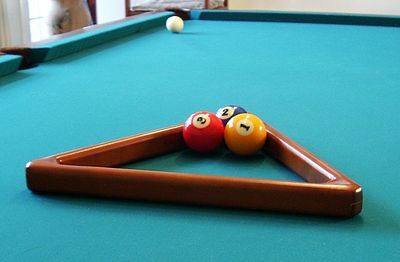 To start playing the game, rack the balls in a miniature triangle same as the one used in snooker or eight-ball. Place the object balls in a straight line with the lead ball on the foot spot. Finally, position the other balls behind it, line them up toward the center of the foot rail. Setting up the table for Three Ball does not require any effort at all. You could use the standard triangle and place the object balls on the far end or use a miniature triangle. To start the game, a randomly pre-decided person is set to go first before the game starts. Place the cue ball anywhere behind the head string (in the kitchen). A typical “hard break” is performed. The break is the first stroke of the player’s game and counts towards his or her score. Unlike in 8-ball or 9-ball where a player can continuously play until no ball is pocketed. Three Ball, on the other hand, has a different set of rule﻿﻿s. A player’s turn is over once the pre-set value is reached regardless of whether a ball is pocketed or not. In Three Ball, a point is added to a player’s total points regardless of whether or not there was a pocketed ball. Regardless of what the pocketed ball is. Consequently, points are also added to the total score for specific fouls. The end of the game is determined when a person is finally able to pocket all balls. The player with the lowest accumulated score wins the round.